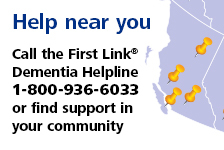 Past events | Alzheimer Society of B.C. It is the tremendous energy and generosity of our volunteer organizing committees, event speakers, guests and sponsors that make each year’s events such a success. Please click the links below to see photos and sponsors from last year’s events.